I’ve owned the Grundig G8/Traveler II (aka Tecsun PL 300WT) and Tecsun PL-310 since they first became available but somehow never got around to reviewing them. I just received the new Eton Traveler III and after a short time of using all three of them together thought it would be helpful to compare them. 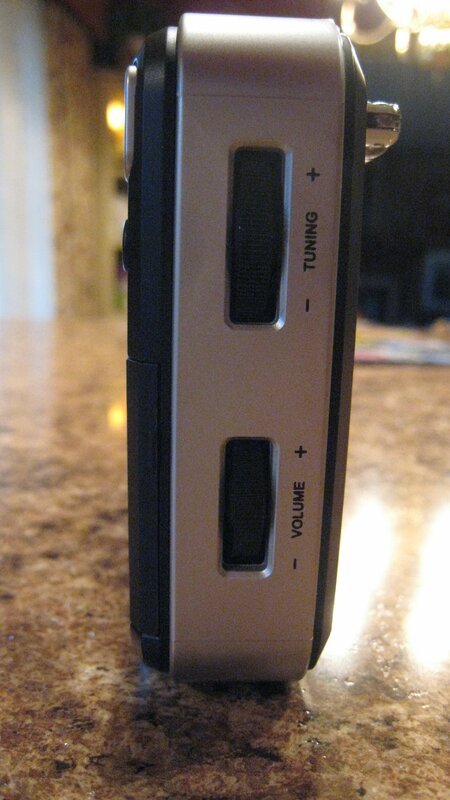 I don’t know if this new model will appear in its Tecsun OEM version but so far I have not seen it. My Traveler III cost me $59.95…roughly comparable to the price of the other two radios. 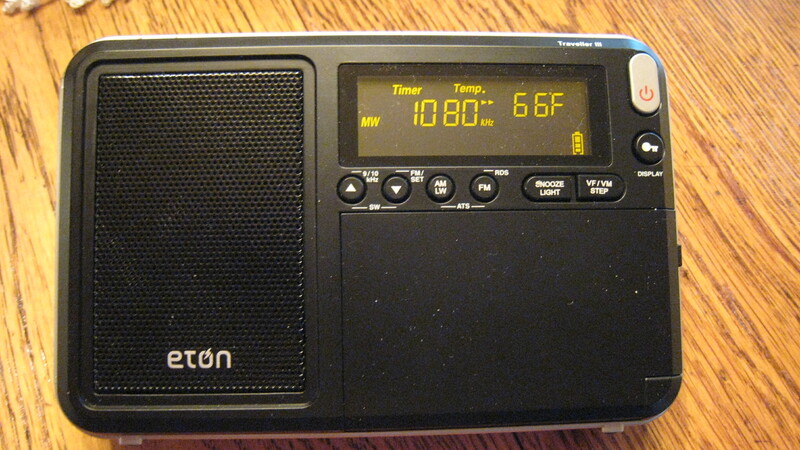 The newly-packaged Executive Edition is the same radio in a new color and with a new case. Performance is unchanged. It is currently selling on Amazon for $58.62. 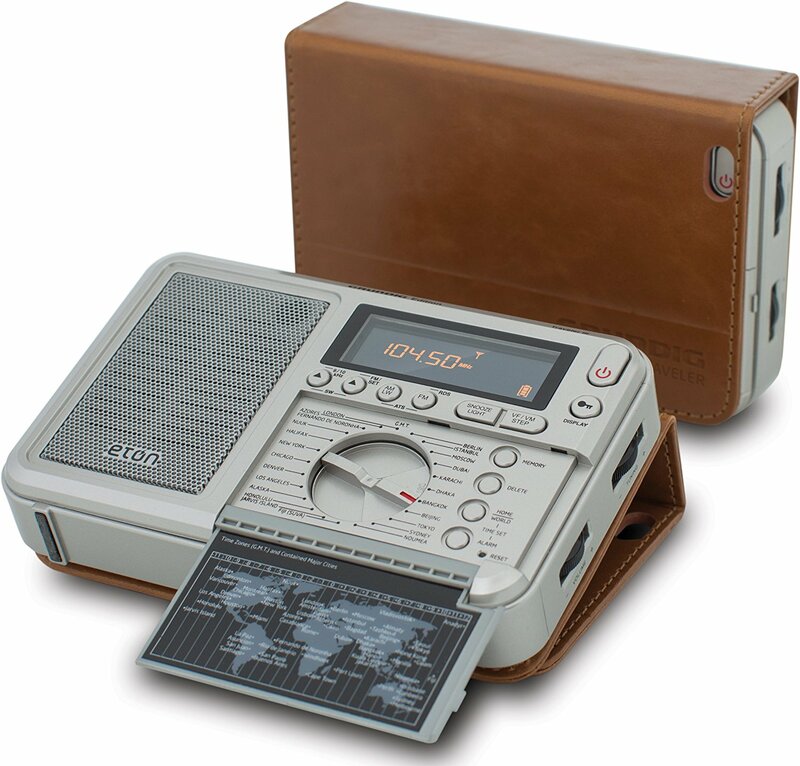 Like the Traveler II before it the III is DSP equipped with an analog-like tuning thumbwheel (no keypad) and digital readout. 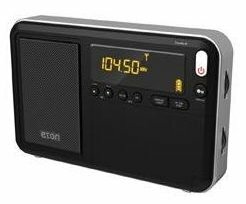 It has a new, very different looking display which it shares with other new Eton models announced in their 2014 CES Press Release, including the new Eton Satellit, Field Radio and Mini. This display really pops with easy to see orange digits on a black background – it is both unique and appealing and indoors it is very readable. It visually sets these radios apart from the pack. However, outdoors it becomes very hard to see. Newer versions are a bit brighter but still, as with my smart phone, it is hard to see in bright sunlight. One significant addition..FM RDS which will please FM devotees. All three radios offer FM Stereo at the headphone jack. 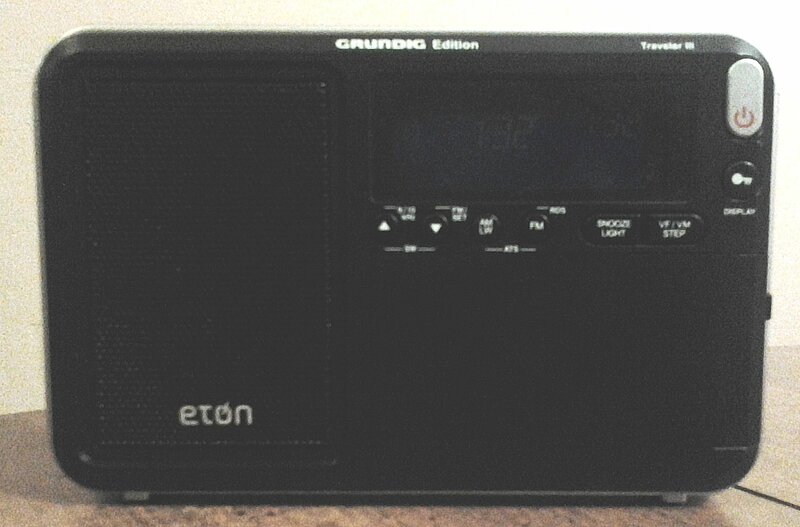 Eton describes the Traveler III as “The Go Anywhere, Hear Everything AM/FM/LW and Shortwave Radio” which is probably a more apt description for their more ambitious models such as the new Satelit which adds SSB capability and Air Band reception. Still the Traveler III is a fun little radio. 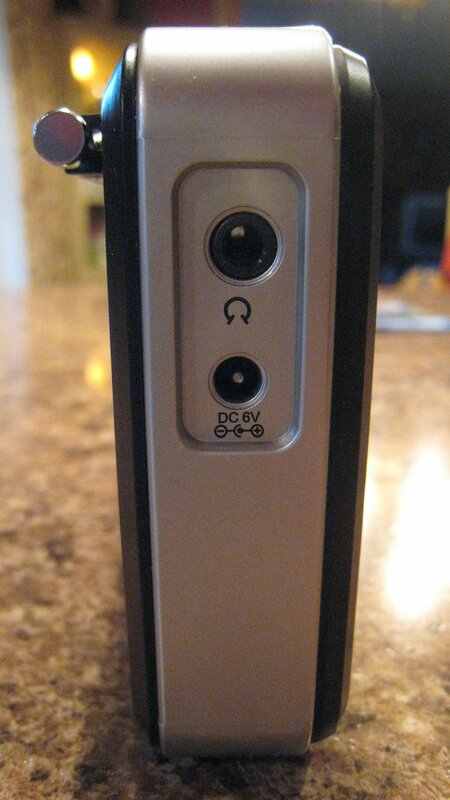 There are headphone and DC 6V input jacks although no earphone or AC adapter are included. It runs on 4 AA cells and has the now-standard digital features of clock, sleep timer, alarm, snooze, world and local time, and display lighting which can be set to On, Off or Auto. The manual is far from clear on this but multiple presses of the Display button toggles among Hi/Lo Brightness, Off, Auto and On settings, but although it says it will turn off after 10 minutes this is not correct…the lights will stay on permanently. Although you could run your battery down if you left it on indefinitely I do like the option to leave it on while using the radio. One step backwards for the Traveler III is the puny and poorly adjustable whip antenna. It measures in at 16 inches whereas the Traveler II and PL-310 sport 21 1/2 inch rods…still shorter than ideal but I suppose reasonable in these very small radios. Another senseless annoyance is that the Traveler III’s whip is almost horizontal when the radio is on its kick stand because it has very little ability to swivel forward. I thought the manufacturers had learned their lesson about this. I am happy to report also that my replacement unit is slightly better on AM than my original sample because there were a few digital hets on the original that are not there on the new unit. Hopefully all present production will have this improved performance. I don’t know if there was an actual design change to achieve this of if it is just unit to unit variations. Initially I thought I had a problem with the power switch until I discovered that it does not act exactly as stated in the manual. The manual says a short press turns the radio on but it requires two presses…only after very recent use will it turn on with one press. The manual also says that a long press invokes the variable sleep timer which you can set anywhere from 120 minutes down or On which disables the sleep timer. My radio requires two quick presses of the power button to do that. Sound from the built in speaker is good for this size radio…not boombox-like by any means but pleasant enough for the kinds of use one is likely to put this kind of radio to…the Traveler II and III sound essentially the same…the PL-310 is a bit more trebly which often increases the audibility of noise. RF Performance – AM: Best news first…AM is where the Traveler III is a big improvement over both of the other radios being compared here. There was just no contest with the III easily the best on weak and medium strength signal reception. I compared all three radios on 13 difficult signals covering the entire AM band. Not only were the Traveler II and PL-310 usually a bit weaker overall they also suffered digital hets on many if not most of the test signals whereas the Traveler III was almost completely free of them. Also on many of the weaker signals the Traveler II and PL-310 had that annoying audio pumping caused (evidently) by soft muting. This soft-muting is supposed to reduce noise between signals but in reality is causing weaker signals to be muted as they fall below a certain threshold level so the audio just keeps popping in and out making such signals unlistenable. This is unfortunately the case with many inexpensive and even mid-priced modern-day DSP radios. Amazingly the III seemed completely free from both of these defects and is truly a breakthrough in AM performance at this size/price level. The result is far better listenability on weak and fading signals. What a nice change for once! Now the not-so-great news. The G8 Traveler II was one of the first of the new DSP-based radios that showed the amazing FM performance that can be achieved at this size and price level. The Traveler III is unfortunately a little less sensitive. Certainly the small 16″ rod doesn’t help but even when I shortened the rods on the Traveler II and PL-310 to the same length they were still a bit more sensitive than the III. For perspective the Traveler II is one heck of a hot little FM radio..among the best, so the Traveler III is not bad…I’d rate it about 20% less sensitive overall. I checked 15 difficult stations…usually moving the three radios around a bit caused bigger changes than the differences in the radios so the lesson is clear…when checking for weak FM signals try every conceivable position to see where the signal pops in. On some frequencies here I can tune two or three different signals on the same frequency by moving the radios around and tilting them differently. It’s too bad the III is a hair less sensitive because its RDS is of such benefit to FM users. RF Performance – SW: Here the three radios were closer but the III was just slightly less sensitive then the other two on a some signals. You’d have to compare them side by side to notice this difference and again, holding or moving the radios could produce bigger differences than the difference among the radios. 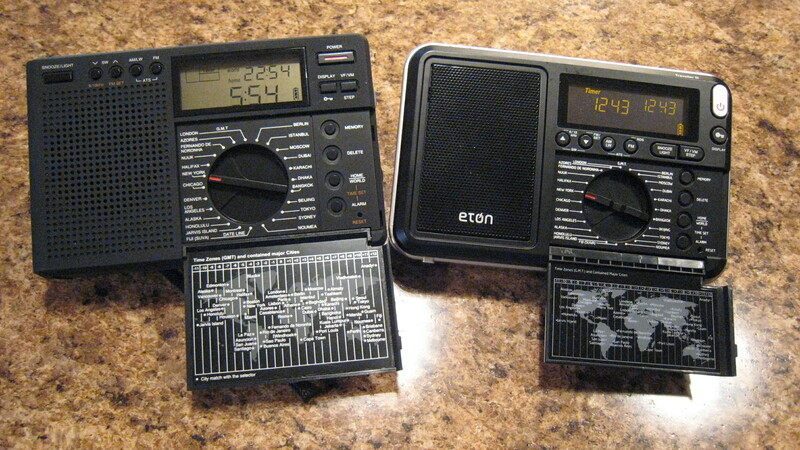 Conclusion: I predict that the Eton Traveler III will become known as an AM lovers radio. Although it lacks the PL-310’s multiple bandwidths, the Traveler III is simply much better than the PL-310 or the Traveler II/G8 on AM. With somewhat greater sensitivity and virtually no audible pumping or traces of any DSP-induced hets it is much more listenable on the majority of less-than-perfect AM signals. The significance of this to me is that it offers the best AM reception I have seen yet in this size and price category among DSP equipped designs. On FM the addition of RDS is of great value but overall FM reception is perhaps about 20% less sensitive than the other two radios. SW performance is somewhat closer to the other radios but just a hair less sensitive. 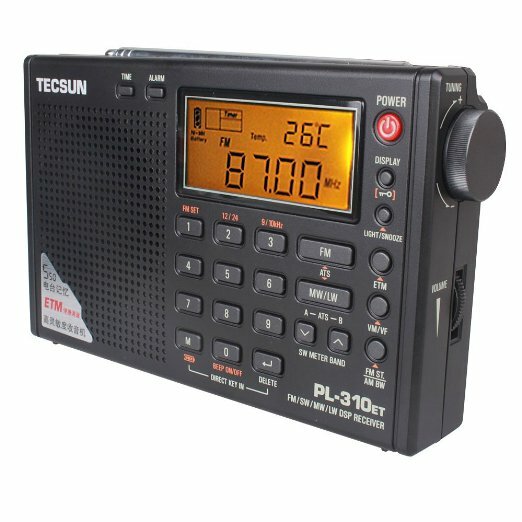 It may be quibbling to compare these radios like this…at this price they are all somewhat amazing. But if your interest is AM I can strongly recommend the Eton Traveler III. 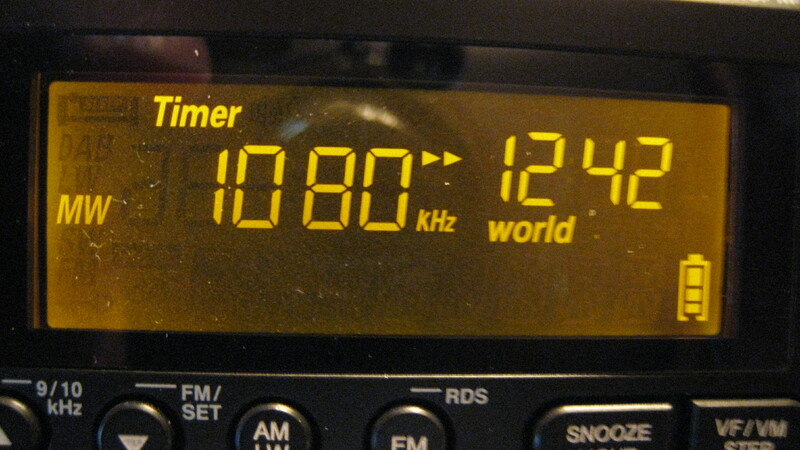 For FM I’d say stick with the Traveler II or PL-310 and for SW the Traveler III is only a hair behind the other two, and if you need multiple bandwidths for hard-core DXing, especially with external antennas, check out the C.Crane Skywave. Click here to see the Executive Edition at Amazon.